This skin perfecting treatment removes dead skin and infuses your skin with hydrating ingredients for a healthy, plump and beautiful complexion. 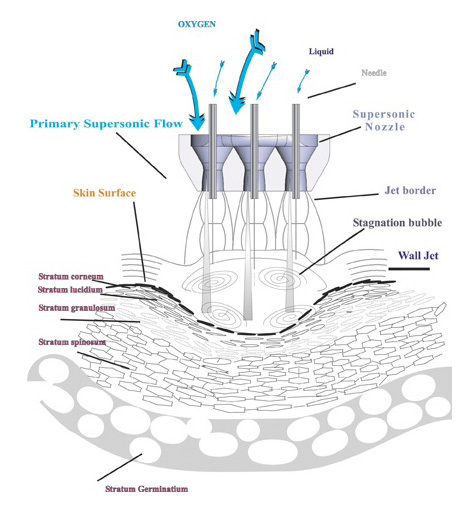 The physics behind it is simple: JETPEEL takes saline, accelerates it using pressurized air to supersonic velocities and with a special hand-piece-nozzle breaks the accelerated liquid into micro-droplets. The kinetic energy of the micro-droplets gently and painlessly exfoliates the outer layer of the epidermis. 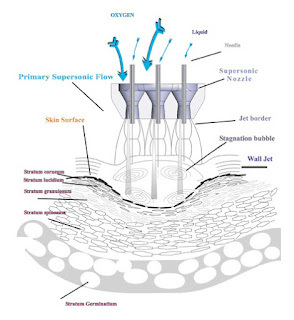 The jet stretches the skin at the point of contact, causing barophoresis, which means that micro-canals in the epidermis broaden and allow for hydration, cleansing and needle-free, effective trans-cutaneous supplementation. 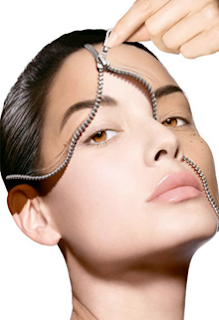 Upgrades - you may choose to add on to your Jet Peel. Vitamin A is an ingredient which helps moisture to penetrate more easily. It has a molecular structure that is tiny enough to get into the lower layers of skin, where it finds collagen and elastin. Vitamin B-5 is an important skin nutrient required for the production of Co-Enzyme-A. It is Co-Enzyme-A that supplies energy to the cells. Vitamin C, properly formulated, helps skin appear firmer and makes for a smoother complexion by diminishing the appearance of fine lines. Hyaluronic Acid is a key component of collagen, the substance responsible for holding the body together. It is vital to the health and integrity of your skin. Glycolic acid is used to improve the skin's appearance and texture. It may reduce wrinkles, acne scarring, hyper pigmentation and improve many other skin conditions, including actinic keratosis and seborrheic keratosis. Once applied, glycolic acid reacts with the upper layer of the epidermis, weakening the binding properties of the lipids that hold the dead skin cells together. This allows the stratum corneum to be exfoliated, exposing live skin cells. Due to its excellent capability to penetrate skin, Glycolic acid (the smallest Alfa hydroxyl acid) known as hydroxyacetic acid, is suitable to treat variety of skin conditions.